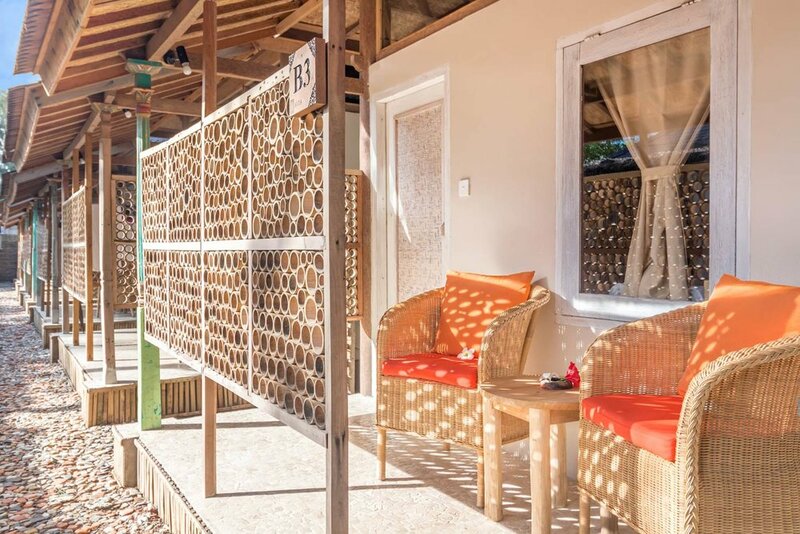 This lovely 1 bedroom bungalow is located just next to the 25-meter public pool of the resort. 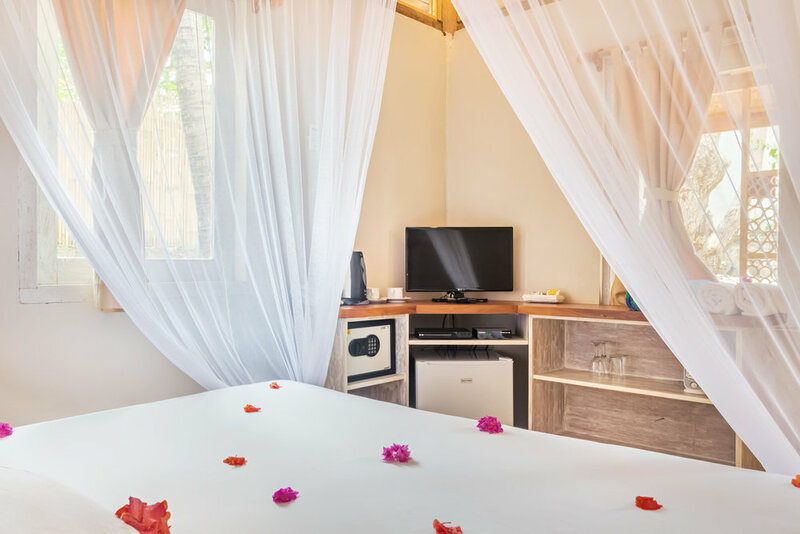 Equipped with a flat-screen satellite TV, the large bedrooms are air-conditioned and fitted with an en suite bathroom featuring fresh water with hot shower facility and free toiletries. 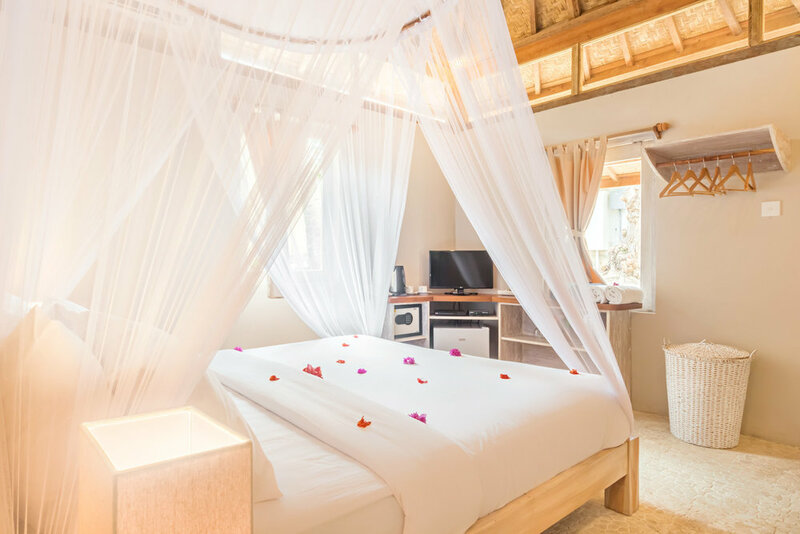 Guests can enjoy the pool view from the bedroom, whilst the room opens up to the terrace where guests can relax on the seating area and enjoy Gili Meno warm sun. 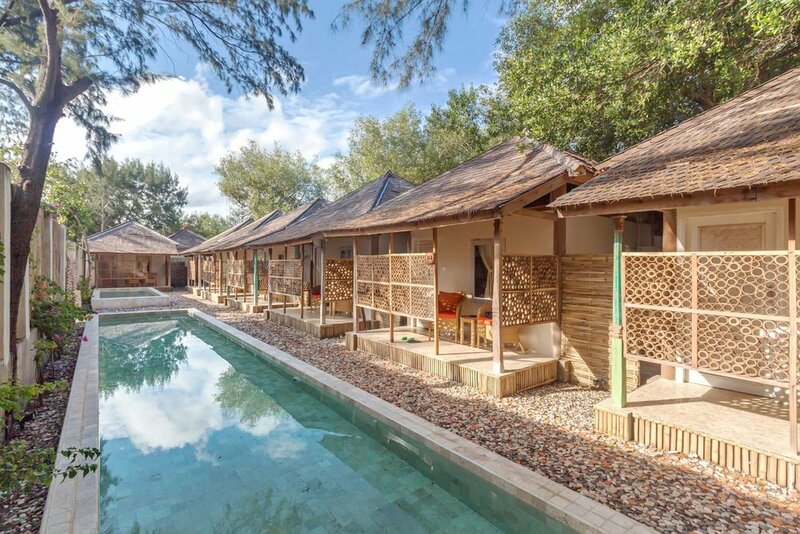 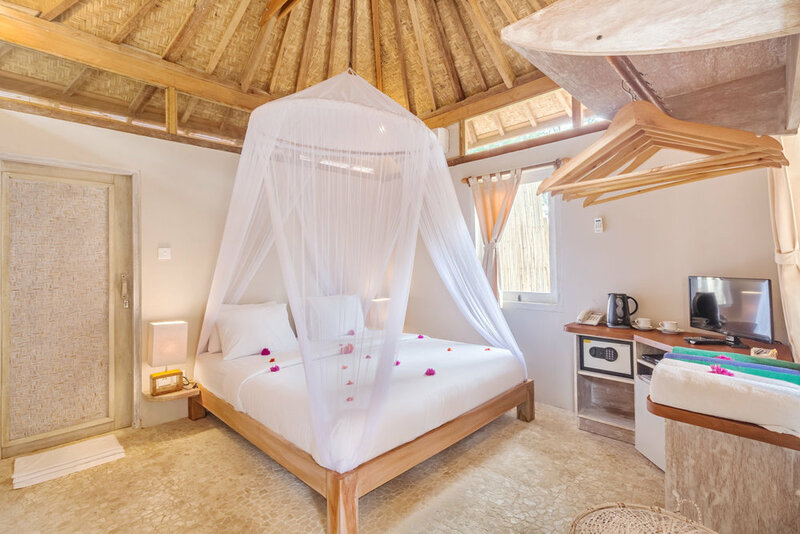 Avia Villa in Gili, Indonesia, is a tropical luxury villa complex in front of a stunning beach of white sand. 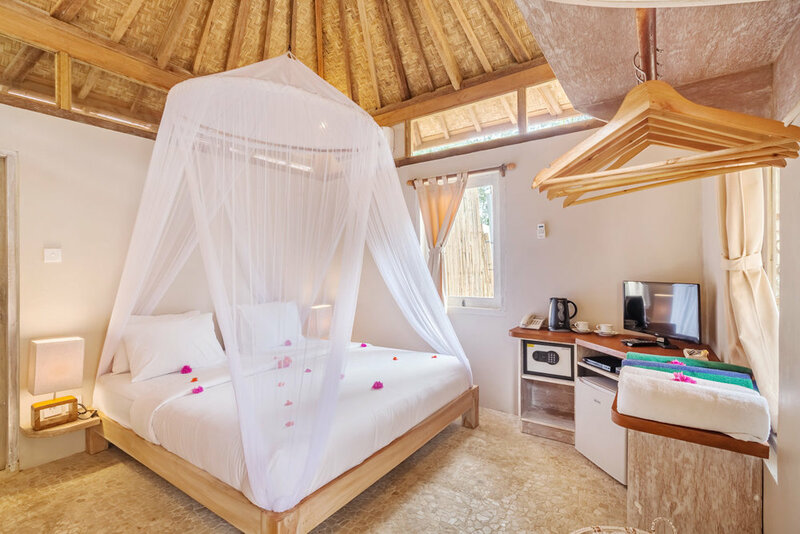 You will be just few meters walk from one of the best beach of the island.